valley that contains a pear shaped lake and surrounded by three different mountains. The three different mountains that surround Nainital are Naina which is situated north of Nainital, Deopatha located on the west and Ayarpatha on the south. 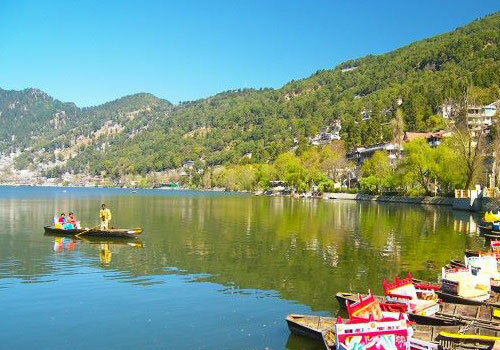 Nainital is one of the most popular and traditional hill station destinations in north India and has been a center of attraction for the travellers since a long time. People from different age groups and different countries visit Nainital to enjoy its mesmerising beauty and cool climatic conditions. If you get to the top of the mountains that surround Nainital, you will be able to get an amazing view of the beauty of the surroundings which are really mind blowing. You can get view of the vast plains in the southern part, the tangled ridges in the south and the snow covered mountain ranges which form the axis of the Himalayas. Nothing will be better than the sights that you see from the top of the mountains and these are the sights that you can really cherish for your life time. The natural beauty, cool climatic conditions and the hilly geographical features makes Nainital a favorite travel destination for tourists from across the world. 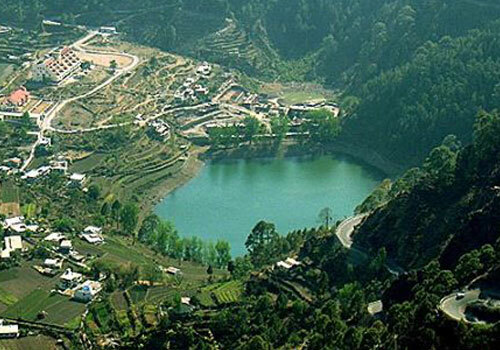 As per various online sources, Nainital is considered as one of the perfect honeymoon destinations in north India and a large number of newly-wed couples and families constitute a great numbers when we take the count of travellers visiting Nainital. Nainital is also a perfect destination for nature lovers as there are plenty of options and sources for sightseeing activities. Those interested in adventure activities will have a great time at Nainital as the places has geographical features suited for various adventure related activities. There are a lot of places to watch in Nainital such as the Snow View, St. John in the Wilderness, Nanda Devi Temple, Tiffin Top, Gurney House, Naina Devi Temple, Guano Hills, Sariyatal and Naina Lake. You can enjoy a lot of travel related entertainment activities such as boating, trekking, shopping and golfing which will make this tour a memorable one. There are also a lot of places where you can enjoy a wide range of food and cuisine. For those looking for an accommodation at Nainital, there will be plenty of options to choose from as there are a lot of top class resorts, lodges, cottages etc. All these accommodation facilities are equipped with the best amenities available to make your vacation stay a memorable one. The hotels and resorts available at Nainital ranges from budget, middle range level and luxury level and you can select the best one based on your budget and preference. Before planning your trip to Nainital, you need to do a thorough research and study to find out and finalize which all destinations you need to visit and what time of the year you should schedule your vacation trip. You can also take help from any of the reputed travel tour operators who can really assist in making your vacation trip to Nainital a memorable one. This entry was posted in Nainital and tagged nainital travel destinations, nainital travel india, nainital uttarakhand. Bookmark the permalink.